General Atomics Aeronautical Systems and CAE signed a memorandum of understanding during the Paris Airshow to explore business opportunities to integrate CAE’s simulation systems with GA-ASI’s remotely piloted aircraft. 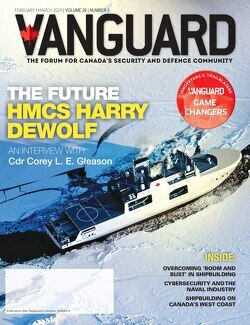 The two companies have been teamed for the past two years to offer the Predator B and/or Predator C Avenger for the Canadian JUSTAS program, which would deliver a medium altitude long endurance unmanned aerial system (UAS) for Canadian Forces intelligence, surveillance, target acquisition and reconnaissance (ISTAR) needs. This MOU expands the partnership to look beyond the border for international customers seeking UAS training solutions. “CAE’s expertise in modeling and simulation technologies and integrated training services, including extensive experience in aircraft mission training systems and simulators for RPA, is a strong complement to GA-ASI’s proficiency in the design and manufacture of proven, reliable aircraft systems and ground control systems,” said Frank Pace, president of GA-ASI’s Aircraft Systems Group. Specifically, the companies say they will explore collaboration to develop a UAS mission training system for Predator B/MQ-9/Reaper, Predator C Avenger, and Predator XP. GA-ASI acknowledges that if the agreement does produce training contracts, it may assist the company with its industrial and regional benefits obligations should it win the JUSTAS program.